Professor Ann Goldweber secured a grant to operate a full-time pro bono program to provide legal services to unrepresented debtors in Civil Court, Queens County and unrepresented plaintiffs in uncontested divorce cases. St. John’s and three other New York-area law schools received grants. This is the first time the New York State Office of Court Administration has awarded grants to law schools. The Access to Justice Grant grant compliments an earlier award for an existing part-time clinical program and gives St. John’s law students and alumni the opportunity to help a greater number of people. 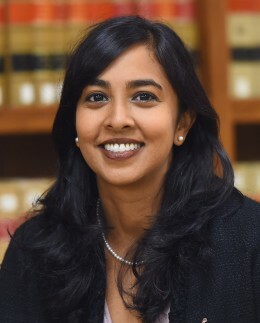 The Consumer Debt Volunteer Lawyer for the Day Program , which is supervised by St. John’s alumna Helen Wrobel, provides limited representation to pro se defendants in consumer debt cases at pre-trial conferences in Queens Civil Court. Under attorney supervision, students work to negotiate settlements with opposing counsel, conference with court attorneys, argue before judges and advise clients on trial strategies. In the past six months, in the part-time program, 130 people received representation. In the Uncontested Divorce Program, also under attorney supervision, students prepare uncontested divorce papers and walk clients through the divorce process. One hundred and twenty-five people have been assisted in this part-time program in the past six months. By expanding these programs, the numbers can be doubled, reaching more low-income people in need of legal representation. This new grant gives St. John’s law students the opportunity to learn valuable lawyering skills while helping to meet the needs of the low-income community in Queens.